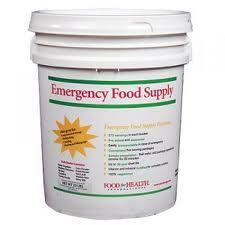 Prepare for long-term and short-term emergencies by stocking up on bulk freeze dried food, first aid supplies and other survival items intended to keep you and your family healthy and safe following a disaster. Freeze dried food is easy to store and weighs less than canned food because the food's moisture content has been removed through rapid freezing. Bug out bags and hiking backpacks can be packed with freeze dried food yet remain lightweight enough to carry over many miles of hiking. Freeze dried food still provides most of the vitamins and minerals originally contained in the food before it was preserved. Dehydrating and drying food removes much of the nutrients due to the slow preservation process required in contrast to the quickness of freeze drying and vacuum preserving food. 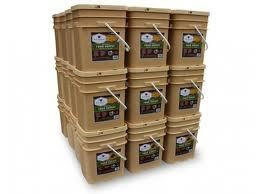 Pouches, buckets and #10 cans of bulk freeze dried food is stackable and takes up less space than canned or jarred food. Freeze dried food just needs water to make it edible. Adding hot or boiling water to this kind of food makes it ready for consumption after five or ten minutes, depending on the temperature of the water. Using cold water with freeze dried food works but it will take longer before it can be eaten than when boiling water is used. In addition to a variety of emergency foodstuffs, Nitropak also sells freeze dried ice cream. Types of ice cream you can find at Nitropak are neapolitan, mint chocolate chip, ice cream sandwiches, cookies n' cream and double chocolate. You do not need to add water to freeze dried ice cream. Instead, the ice cream is cut into bite-sized chunks that melt in your mouth. Additionally, these pieces of freeze dried ice cream weigh nothing so you can carry a lot of them in a backpack for a quick, anytime treat. The importance of preparing for any kind of disaster cannot be over emphasized in these unstable and violent times. In addition to an increase in natural disasters occurring in the past ten years, the possibility of economic collapse, war and food shortages constantly looms over the world. Getting prepared and remaining prepared for very plausible catastrophes not only involves building a stockpile of survival supplies but also means understanding that societal changes following a disaster could be dramatic and dangerous. Expert survivalists realize that food will probably be considered as a form of money after an apocalyptic event. People with large stashes of edible food can use any extra food to barter for necessities that others may have, including transportation and protection services. Moreover, buying bulk freeze dried food at current prices may also potentially save you thousands of dollars in the event the economy bottoms out and food shortages cause steep increases in food prices. With droughts, floods and temperature extremes predicted to cause the price of groceries to rise by as much as five to 40 percent, having an ample stash of nutritious freeze dried food at your disposal may mean the difference between eating well or going hungry.